In the United States, the number of books published in translation is famously low. A popular estimate is 3% of all literary fiction and poetry. A translator’s name is usually included in small print on the title page of a printed book — rarely on the cover — and even the most prolific translators often remain in the shadows. Many people can name a favorite author, but how many of us have a favorite translator? Yet despite having a job that, by nature, goes relatively unseen, translators wield incredible power. They are, in a sense, trusted to write anew the great works of others. Nobel prize winner José Saramago once said, “World literature is created by translators.” And the stakes are high indeed: the 1989 fatwa calling for Salman Rushdie’s death in response to the publication of The Satanic Verses led to the murder of Rushdie’s Japanese translator and the attempted assassinations of his Italian, Norwegian, and Turkish translators. For translators long familiar with the paradoxical work that is literary translation, and for the rest of us to whom such travails are wholly unfamiliar, we sought to ask a wide swath of translators about their work. From those working in Icelandic to those translating from French, from those just beginning their careers to those long-established, we survey the ferrymen and women who battle the tide to bring literature to foreign shores. For more responses to our questionnaire, click here. 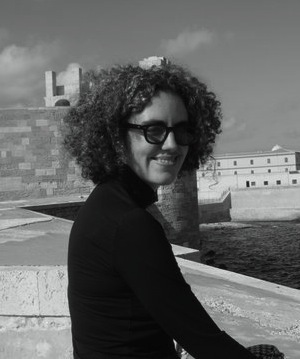 Natasha Wimmer has translated six books by Roberto Bolaño, including 2666 (winner of the 2008 National Book Critics Circle Award for Fiction) and The Savage Detectives. She is also the translator of three books by Mario Vargas Llosa, as well as works by Gabriel Zaid, Laura Restrepo, Rodrigo Fresan, and Pedro Juan Gutierrez. She is the recipient of an NEA Translation Grant (2007), the PEN Translation Award (2008), and an Award in Literature from the American Academy of Arts and Letters (2010). She worked previously as the Literary Editor for The American Scholar and has written reviews and criticism for The Nation, The New York Times, and The Believer, among other publications. What is the most recent problem you ran into in a translation (a sentence, a word, a phrase)? How did you solve it? This is a helpful question, as it turns out — in answering it the first time, I realized that my solution to a particular problem was wrong. Here’s a second attempt, from Álvaro Enrigue‘s novel Sudden Death, which I’m working on right now. It’s just a small thing, the kind of problem translators run up against in every other sentence. Pope Pius IV and his chief inquisitor, Cardinal Montalto, are enjoying a fictional feast as Rome burns. Pius IV presents Montalto with a gift, a small box. Montalto says he’s not one for jewels. Pius IV replies: “¿Crees que en este último banquete en que nos vamos a encontrar te daría un joyero?” Literally: “Do you think that at this last banquet at which we’re to meet I would give you a jewelry box?” Correct (I think), but the verb tenses are ungainly and stilted in English. Solution (for now): “Do you think that at this final meeting, our last banquet, I’d give you a jewelry box?” To my ear, this is more fluid and gets the same sense across. A doubt springs to mind as I set this down, though: the scene is all about portents and hypotheticals (too involved to explain in detail), and maybe the convoluted tenses are important to preserve — my solution loses a bit of the predictive quality of the original. Oh well — to be continued . . .
Translators have enormous power over a text. How do you respond to this power? Can translation ever be unethical? I’m not sure if “unethical” is the word I’d use — in most cases of literary translation, I think “misguided” might come closer. As long as the translator is trying in earnest to get across the sense or feel of a text, I think the attempt is honorable. In fact, I’d go even further: the translator has to embrace the power she has over the text — a tentative translation is likely to be an uneven, unpersuasive one. That isn’t to say I don’t worry about what harm I might do a text. I worry all the time: particularly about preserving the distinctiveness of the writer’s voice. It is possible to over-translate. But I believe that the risks of under-translating are greater. There’s that famous Italian expression, “Traduttore, traditore” (a play on the words for “translator” and “traitor”). And the poet and translator Rosmarie Waldrop writes, “Translating is not pouring wine from one bottle into another. Substance and form cannot be separated easily . . . Translation is more like wrenching a soul from its body and luring it into a different one. It means killing.” Why is it that the concept of translation can inspire such violent comparisons? To what extent does your own translation work feel like an act of destruction? I do recognize the zombie-novel that this conjures up — a book in a translation so flat that the reader’s eye glances off the page. But I think Waldrop doesn’t have enough faith in substance. The concrete details of a story — the setting, the action, the characters, the perspective — have a soul of their own, one that isn’t so easily killed by translation. The word “faithful” often comes up in discussions of translation. To whom or what is a translation faithful? Is a faithful translation good? Is a good translation faithful? I’ve recently been compelled to consider this question in concrete terms. For the first time, I’m working on a translation of a novel that I know in advance will be carefully read by the author, whose English is near-native. This has made me sharply aware of writing (or not) for a particular audience. Am I writing for the author, or am I writing for the average reader of fiction in translation in English? If the former, my tendency is to translate more closely; if the latter, it is to be looser and more interpretive. I would argue that each version is “faithful” in its own way, but each serves a different audience. And my ultimate responsibility, I believe, is to the text’s larger audience. Many writers would agree: Borges and Umberto Eco, for example, both urged their translators to make full use of the resources of the English language in translating their fiction. Still, it’s been useful to consider the reaction of the one reader likely to be possessive of every word and turn of phrase — if I’m tempted to be too broad, it compels me to tighten and fine-tune. When do you know that a translation is finished? When I find myself going over the same words or phrases, making changes that I immediately reverse. Of course, six months later, when it’s too late to revise and I’m able to read with a fresh eye, I can always find things I’d like to rework. What kinds of books and genres in your source language(s) are translated into English most often? Fiction — particularly contemporary fiction that aspires to advance the global literary conversation. I think that’s as it should be, though I sometimes wish that there were more translations of nonfiction and of children’s fiction, for example (though I was recently surprised to find Elvira Lindo’s Manolito Gafotas in translation for my daughter). What are the books, genres, styles that you would most like to have translated? See above. In general, I think Spanish-language literature is relatively well-represented in English translation. For the close-reading thrill of it; for the pleasure of making a sentence or a paragraph sing in a new language; for the research (a biography of Caravaggio at present); for the satisfaction of being a part of the great world of letters.